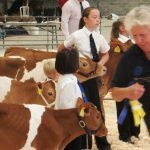 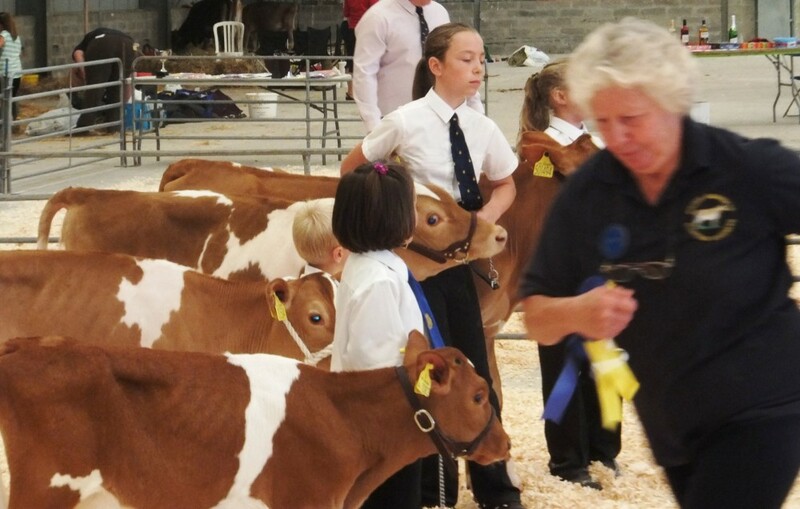 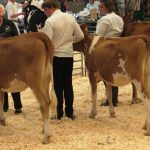 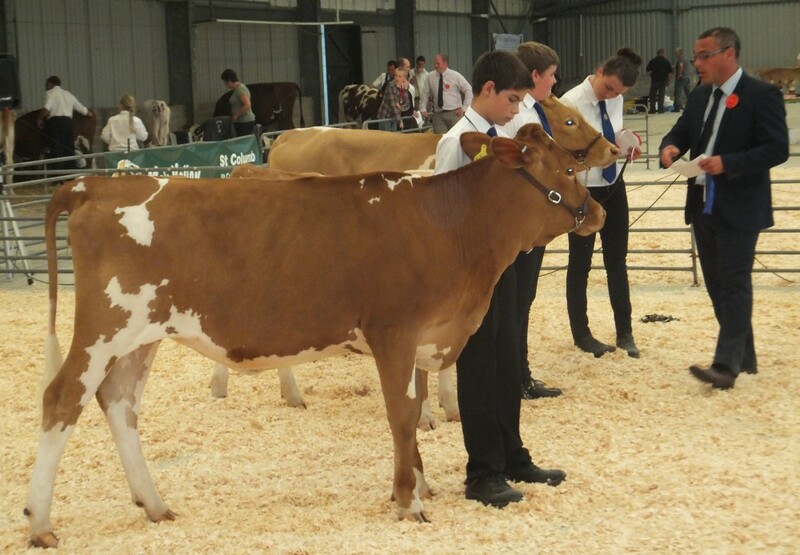 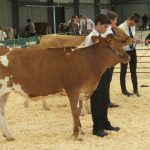 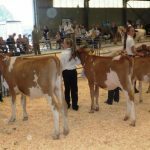 12 calves from 4 exhibitors from Cornwall, Devon and Somerset represented the Guernsey breed at the All Breeds Show at Wadebridge, and saw the debuts of two young people who with luck could spend the next 20 years competing with each other! 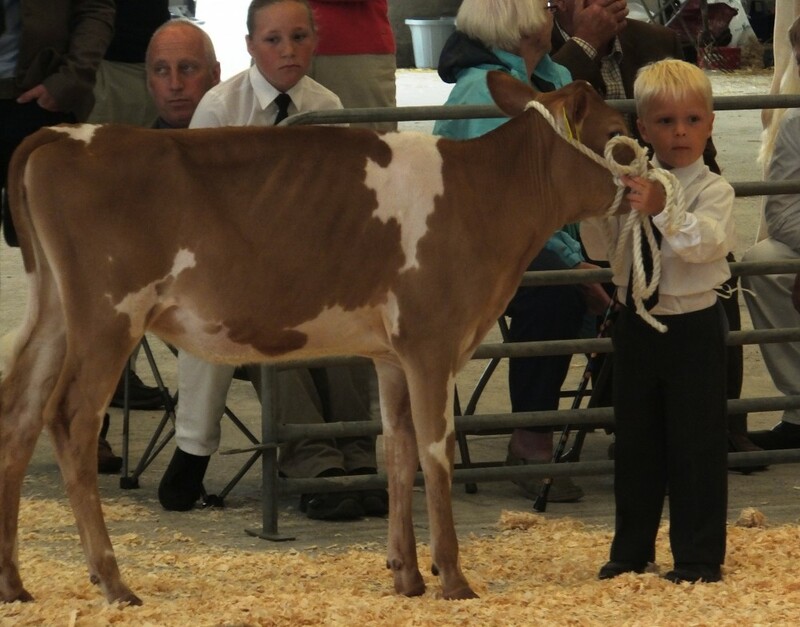 4 yr old Harry Johns (4th generation from the Warren family at Tredinney) was competing with 6 yr old Isabelle Phillips (3rd generation from the Adams family at Wiltown) and with both having younger siblings this promises great competition in the future. 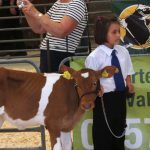 The winning pair in the Junior class will however take some beating as both Kerris Richards ( 10 yrs) and Abi Marshall (11 yrs) are really accomplished handlers. 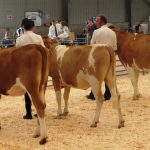 Three Intermediate handlers (Under 17) saw Georgia Jackson having to work very hard to hold off the challenge of Joel Jelbert ,both of whose calves were not co-operating and perhaps it was when Judge Richard Waters asked them to swap calves that Georgia gained the advantage. 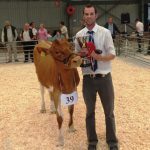 12 yr old Harry Crowter gave his usual calm performance but just missed a couple of tricks when presenting his calf to the Judge, but what I like about Harry is that he listens! 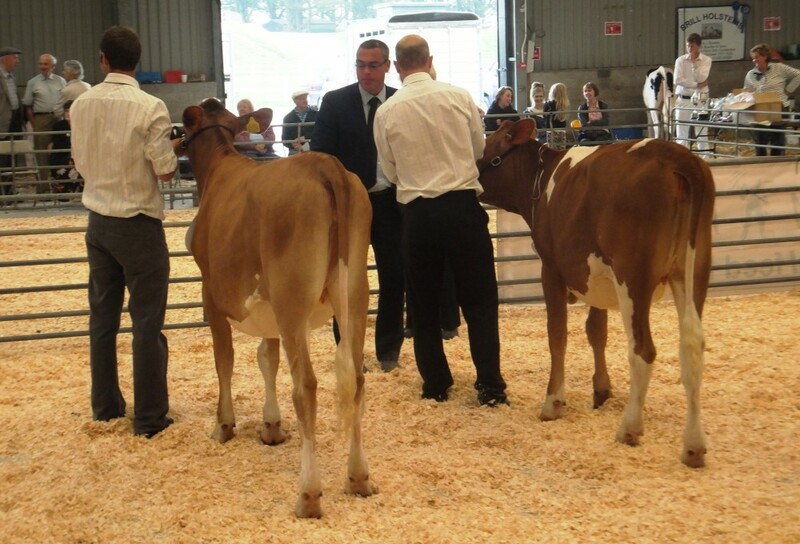 Two senior handlers Jonathan and Joseph work together at Tredinney and there was nothing to choose between them ,but on this occasion Joseph won the class. 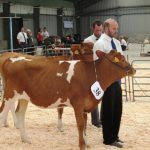 Joseph was placed as Champion with Kerris as Reserve and Georgia as Hon.Mention. 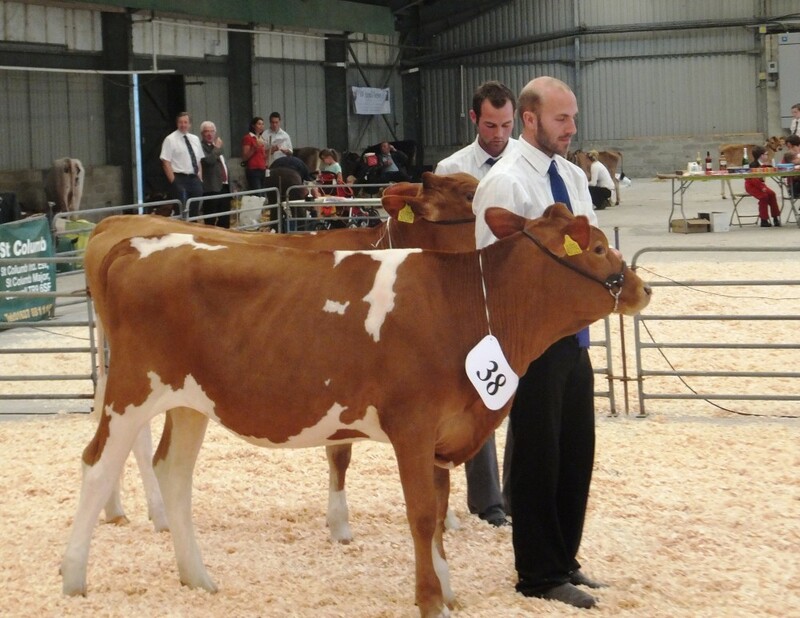 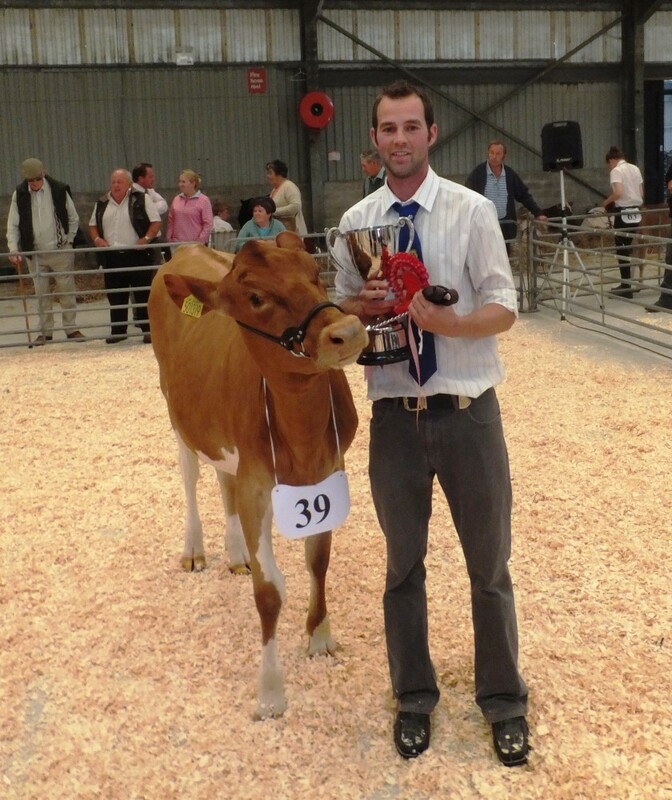 Joseph was then placed Reserve Supreme behind the Ayrshire handler . 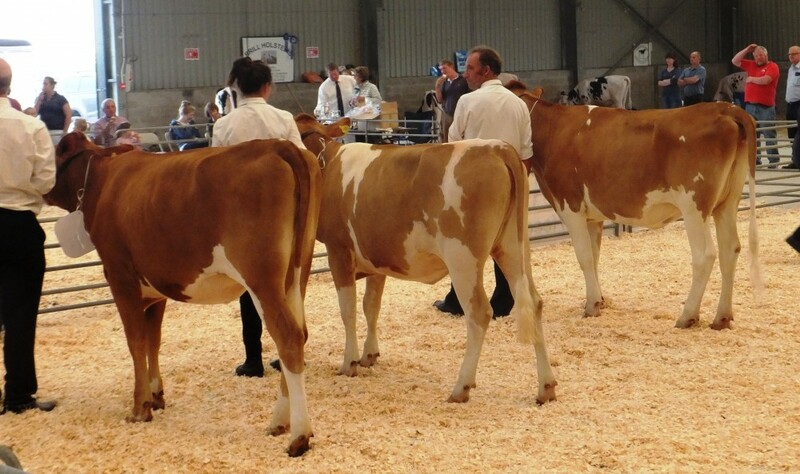 5 Junior calves (Jan-Jun 13) made a very good class with Tredinney Prince Brenda 9 in first place with Tredinney Prince Jingle 9 in second place, and Tredinney Prince Primrose 34 third with Kenvin Marlon Lynne 34 in 4th place with the June born calf Hinton Nancy in 5th place. 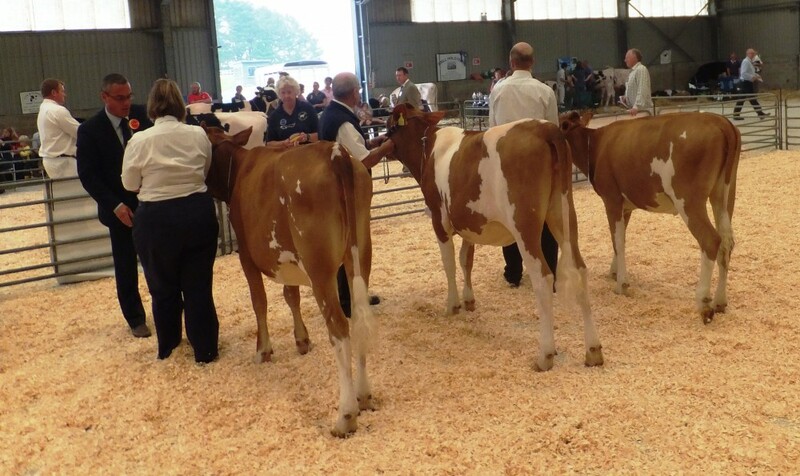 3 Intermediate calves (Sept -Dec 12) saw another Prince calf Trewey Poppy 26 for Brian and Sheila Adams in first place with her stablemate Trewey Andante Jackie 52 in second place with Tredinney Laredos Alicia 22 in third place. 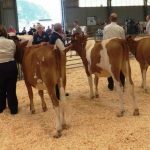 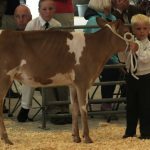 2 Senior calves (May -August 12) both from Tredinney saw Conquerors Jean 2 in first place with Prince Marshmallow 3 in second place. 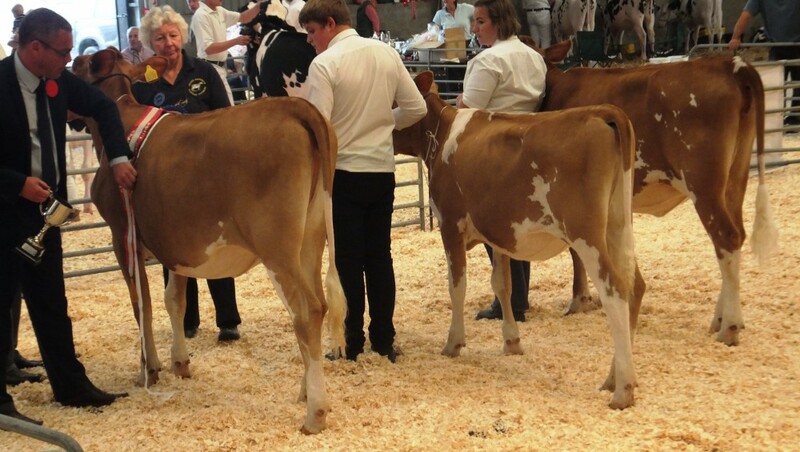 3 Mature calves (Jan-Apr 12) saw Tredinney Double L Bunty 9 in first place with Georgia Jackson’s Webbery Snowbelle 6 (Skeel Norman) in second place (still misbehaving) with Bourton Shalford Damask 3 ( Meadow Court Ellys Eric ) in third place from Les Rocket and Tracy Marshall. 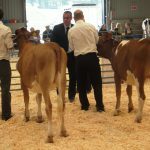 Richard Waters then placed his Championship with Tredinney Conquerors Jean 2 as Champion with Tredinney Princes Brenda 9 as Reserve with Trewey Prince Poppy 26 as Hon Mention. 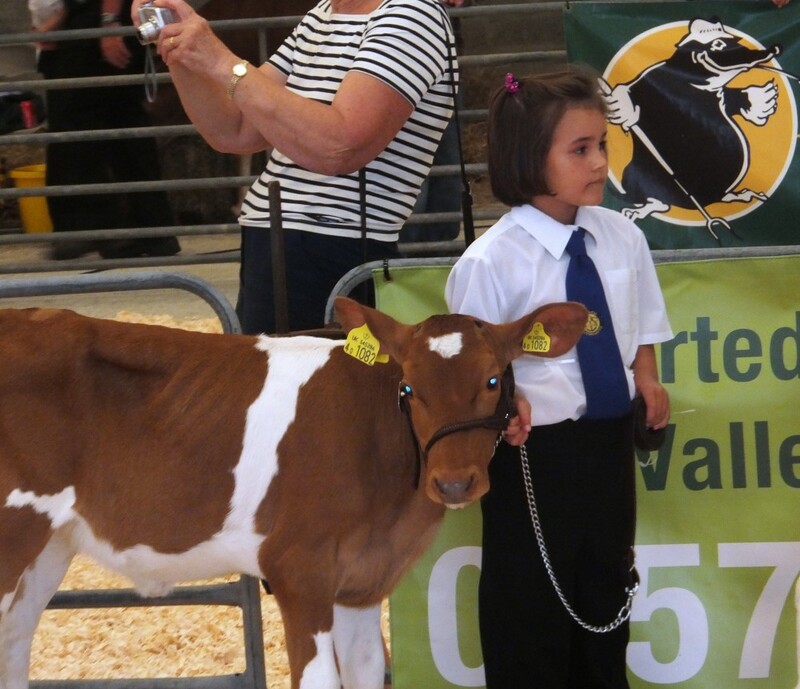 On a day when the airwaves were full of reports of “cruel” “barbarian ” farmers denying Badgers their “rights”, it was wonderful to see the “truth” about dairy farming and the bonds between these kids and calves, but sobering to think that none of the calves came from the two areas where the limited “culls” are being attempted and are therefore at risk from TB and premature death.